Building Music transforms a building into a gigantic musical instrument that participants can play with the light of a flashlight. WHAT This interactive outdoor projection has drawn hundreds of people in different cities to unveil the musical notes hidden in the surfaces of buildings including the Regis Center for the Arts at the Spark Festival in Minneapolis, and the University of Architecture at the Urban Art Festival in Bucharest. 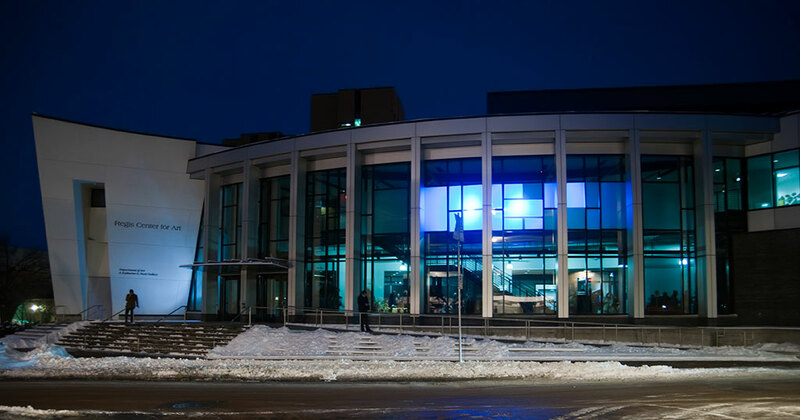 Building Music augments a building façade, transforming it into a gigantic musical instrument that participants can play with the light of a flashlight. By moving the light along the building, participants create amazing musical compositions while lighting up the projection over the windows. Every window hides a sound and color ready to be played by the viewers.